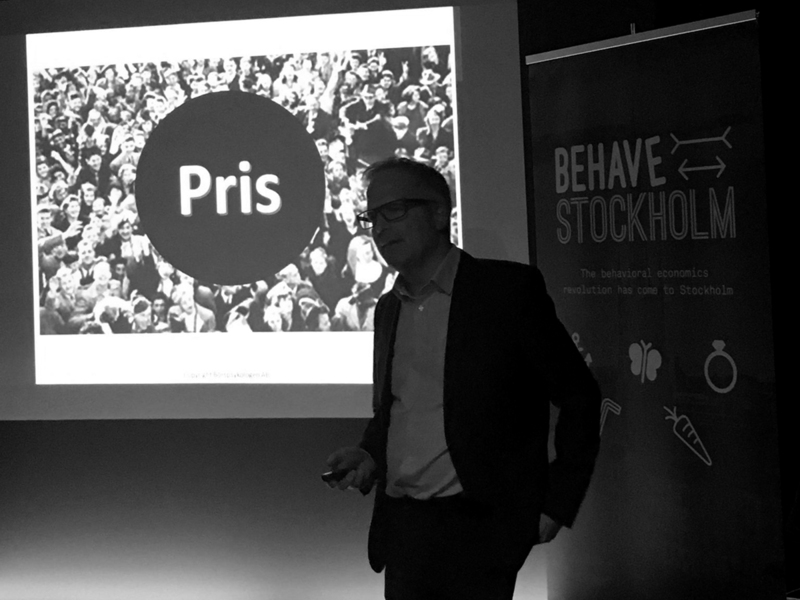 Announcing the launch of Behave Stockholm – a forum for spreading knowledge and promoting the use of Behavioral Economics in Sweden. Our aim is to create a vibrant and eclectic platform for connecting theorists with practitioners, experts with beginners, skeptics with converts from both the business and public sectors, where we can share and discuss new developments and insights in the field of Behavioral Economics. Richard Shotton and Alexander Norén will be this year’s first speakers. On Thursday, May 31, they will cover topics such as Marketing efficiency through the use of behavioral insights and the state of behavioral economics in Sweden. Both Richard and Alexander have written new books which will be sold at discounted prices at the May 31 event. Bias Bar in honor of Richard Thaler’s Nobel Prize to be held in December. Speakers: Christina Gravert, University of Gothenburg, Jerome Ribot, Coglode and Craig Watson, Spotify. Documentation wil be posted after the event. 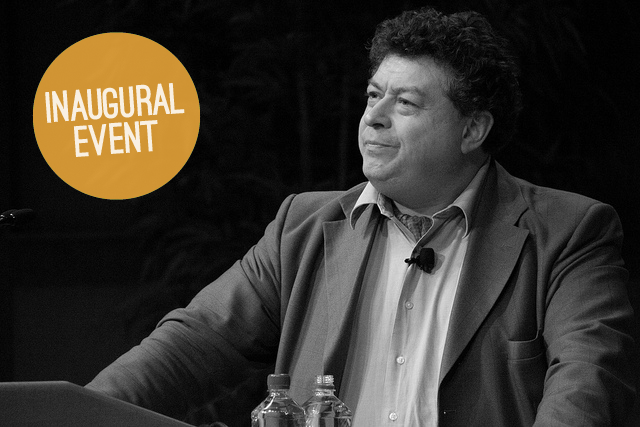 2016 was our first year with two main events: inauguration with guest speaker Rory Sutherland and our first ever Bias Bar with speakers from the Behave Stockholm network. A solid start and there’s lots more in store for 2017. Have a favorite behavioral economist you’d like to see in Stockholm? Get in touch and we’ll see what we can do. Would you like to partner as a sponsor or help out in another way? Drop us a line and we’ll set up a meeting. We have lots of things planned, both big and small and will let you know as soon as anything is finalized. Don’t miss out, make sure you’re on our mailing-list. Rory Sutherland, inaugural speaker at the launch of Behave Stockholm. We were so pleased to have Rory Sutherland, vice Chairman of the Ogilvy Group, columnist at the Spectator and celebrated TED-speaker as our inaugural speaker. 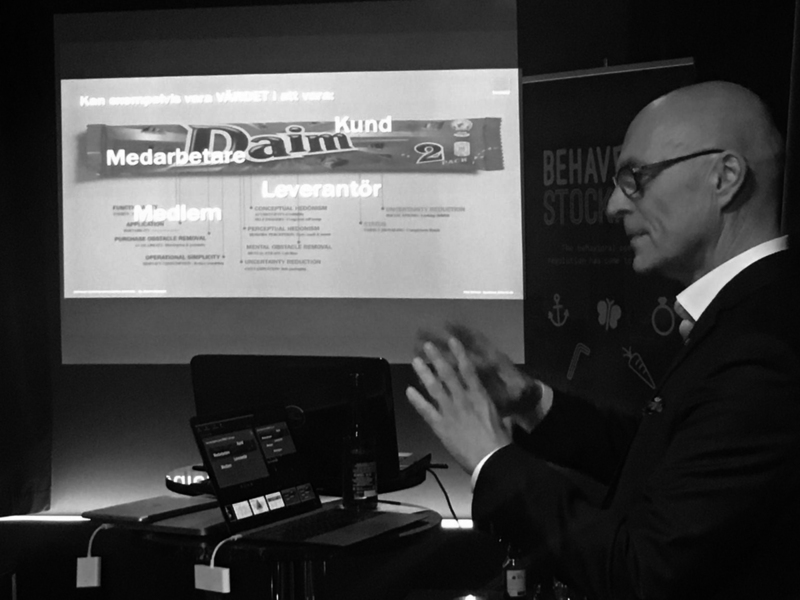 Thanks to Rory we managed to gather a crowd of more than 140 people interested in behavioral economics who now form the basis of our network. Were you unable to attend? Don’t worry, we filmed the entire event and you can watch it by clicking here. We received a lot of positive feedback from both speakers and participants and are planning to do this again as soon as possible. 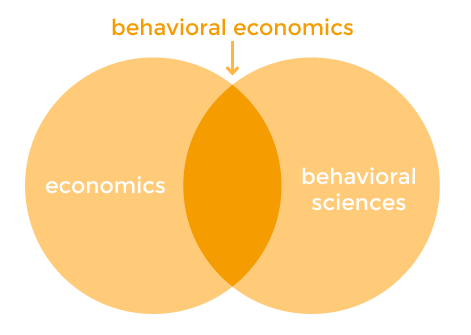 Our mission is to increase awareness and use of behavioral economics in business and society – for the mutual benefit of organizations and individuals. We will do this by connecting theorists and practitioners, by fusing psychology and economics, and by encouraging dialogue and challenging of conventional “truths”. We believe that better insights about how humans really work can fundamentally change the way organizations create value and are lead (whether in decision-making, investment, sales, marketing or in society at large). 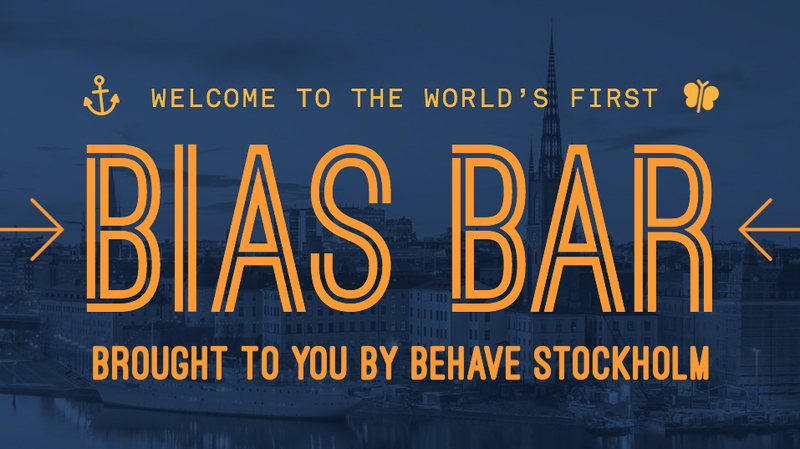 Behave Stockholm is an independent, non-profit network founded by a group of individuals with backgrounds in finance, communication, marketing and brands. We share the view that humans are not always rational, according to the view of neo classical economic theory, and that the use of behavioral economics can improve both the real, as well as the business, worlds. Why do we continue to run business in the same way when the world around is constantly changing? Why do we treat people the same way when knowledge about how humans work tells us this is not the most efficient way? Why are the same myths and conventional “truths” still around even though they hinder creativity, innovation and optimal decision making? We want to change this, and launching Behave Stockholm is a first step. 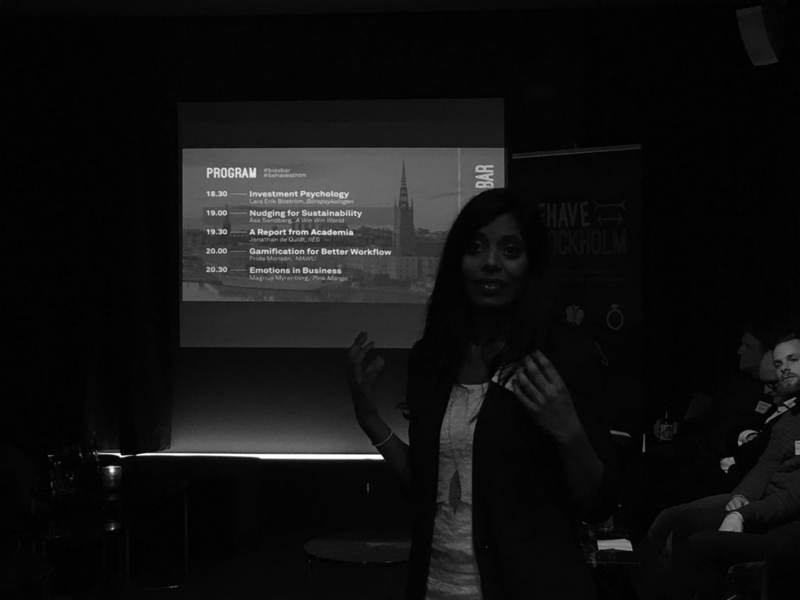 If you have any questions, want to suggest a speaker or would like to sponsor one of our events, please feel free to send us an e-mail at sponsor@behavestockholm.com or use the form below.